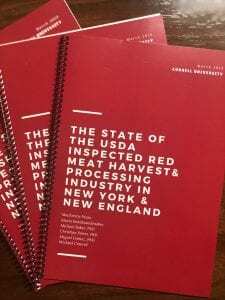 Between February 2017 and March 2018, New York and New England’s USDA red meat harvest plants were interviewed and surveyed. 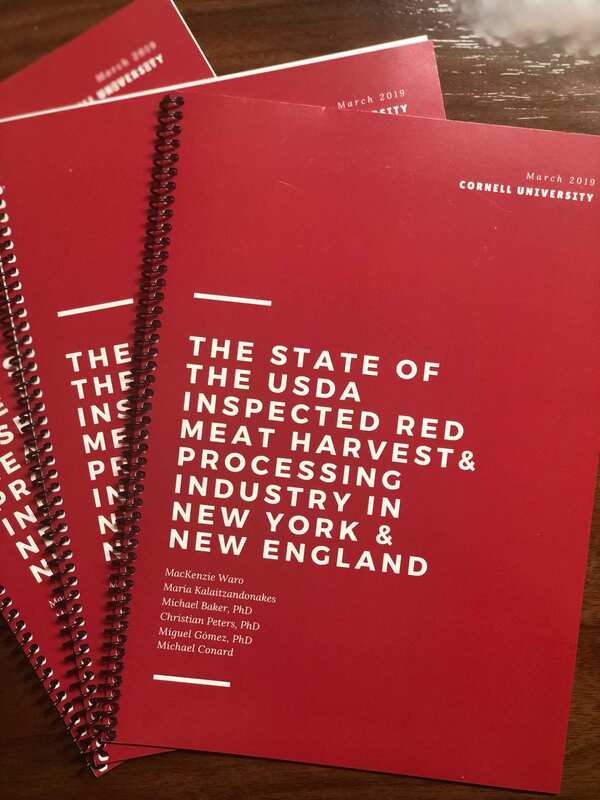 This survey was conducted to provide insight as part of a larger research project titled “Overcoming Supply Chain Barriers to Expanding Northeast Ruminant Meat Production” which is funded by USDA [NIFA Award No. 2016-68006-24744] and researched by Tufts University, Cornell University, and Design & Urbanism Architectural LLC. Lead investigator for this survey, MacKenzie Waro states that “This project wouldn’t have been possible without the processors who opened their doors to us. I hope that the readers will get a better understanding of the harvest and processing industry and how the production and processing chain can work together”. Key findings documented in the study relate to labor, cooler space, funding for expansion and impact of seasonal production patterns. The authors would like to thank all of the harvest plants that participated in this study. Due to their contribution of time and transparency, we were able to gain valuable information that will benefit the livestock and processing industries. Read full report here – USDA_Meat_Processing_Extension_Bulletin.